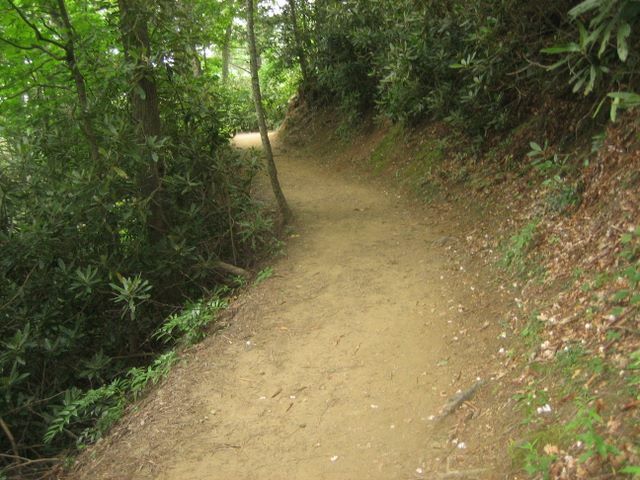 Roaring Fork Motor Nature Trail is a nice 5 mile one-way drive through the Smoky Mountains only a few minutes from Gatlinburg. You will find nice mountain streams, old growth forests, nice trails, log cabins and other well-preserved historic buildings, and possibly some wildlife. At the entrance, you can purchase a booklet with detailed information about all of the stops along the route. 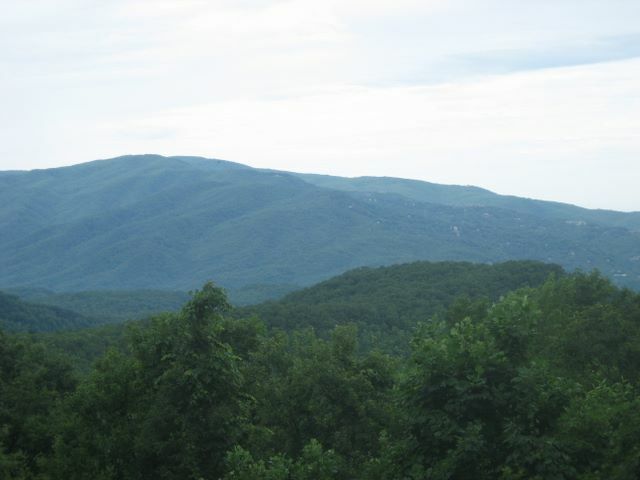 If you are staying at a hotel or chalet in Gatlinburg, it is only about a 4 mile drive to the motor trail. Large RVs and trailers on not allowed on this narrow, winding road. The road ends on US Hwy 321 just east of Gatlinburg. Turn left onto 321 to go back to Gatlinburg. See map below for directions. The road is closed in Winter. There are several good hiking trails in the Roaring Fork area. One of the most popular waterfall hikes is Gotto Falls (see picture on this page). 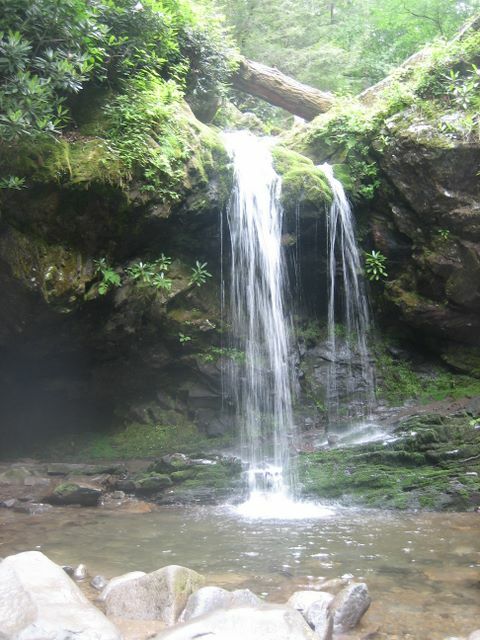 The hike to Grotto Falls is an easy 2.4 mile round trip hike on a well-maintained trail. The trailhead is located at stop #5 on the Roaring Fork Motor Trail. Rainbow Falls is another popular waterfall. The hike is a moderate 5.4 mile round trip. The trailhead is just before the Roaring Fork Motor trail. It is clearly marked. 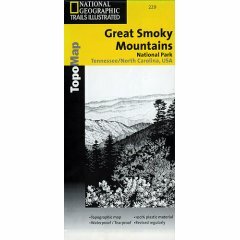 From Gatlinburg, turn up Historic Nature Trail Rd (which used to be called Airport Rd) at traffic light number 8. You will enter the National Park on Cherokee Orchard Rd. Look for signs to the Roaring Fork Motor Nature Trail. See the map below for directions from Gatlinburg. Click on "View Larger Map" under the map to get directions from another location.